Bri Ribaj: What is Intelligence? Are we really more stupid than people in the past who are reputed to have had more common sense? Are we leading the way in abstract thought? 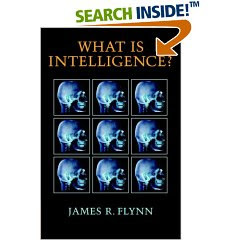 James R. Flynn's new book "What Is Intelligence?" might, indeed, just answer these questions.